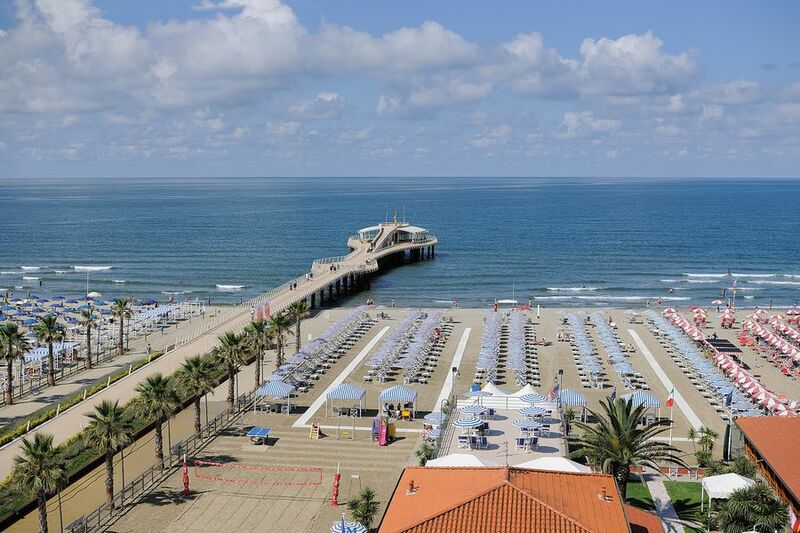 Along the Versilia Coast, Camaiore certainly stands out as a rare and precious gem. Lying at the foot of the Apuan Alps, its territory extends uniquely through four different geographic areas: the hills of Seimiglia, Camaiore itself and its valley, the plain of Capezzano and the coast of Lido. In actual fact, few other places in the world can boast a similar combination of landscapes and scenery: from the sea to the hills, from the mountains to the lake, from the beach to the Apuan Alps Nature Reserve. 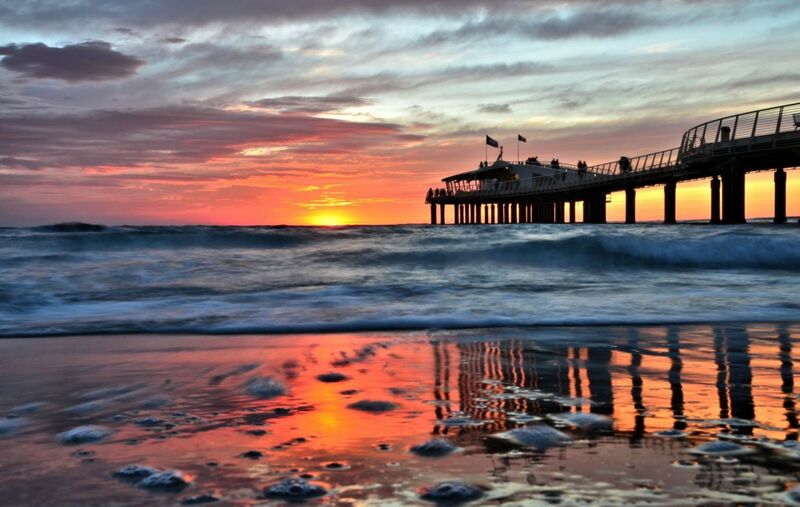 With over 4 kilometres of fine sandy beach, Lido di Camaiore in the beginning of the 20th century became one of the most popular seaside resorts in Italy with distinguished visitors such as the king Vittorio Emanuele III, inventor Guglielmo Marconi, actress Eleonora Duse and poet Gabriele D’Annunzio. After World War II, Lido became a popular holiday location for both national and international tourism. Today its promenade is a medley of tiny fashion shops, inviting restaurants and delicious ice cream parlours. The centre of the town of Camaiore is considered one of the oldest of the province of Lucca going certainly back until 984 when it was first mentioned by the Archbishop of Canterbury on a trip along the Via Francigena. Today one can visit the incredibly beautiful Romanesque abbey of Badia di San Pietro, already named in documents dating back to 761. Nearby are the 12th-century Church of San Michele and the main church consecrated to Maria Assunta, built around 1260. 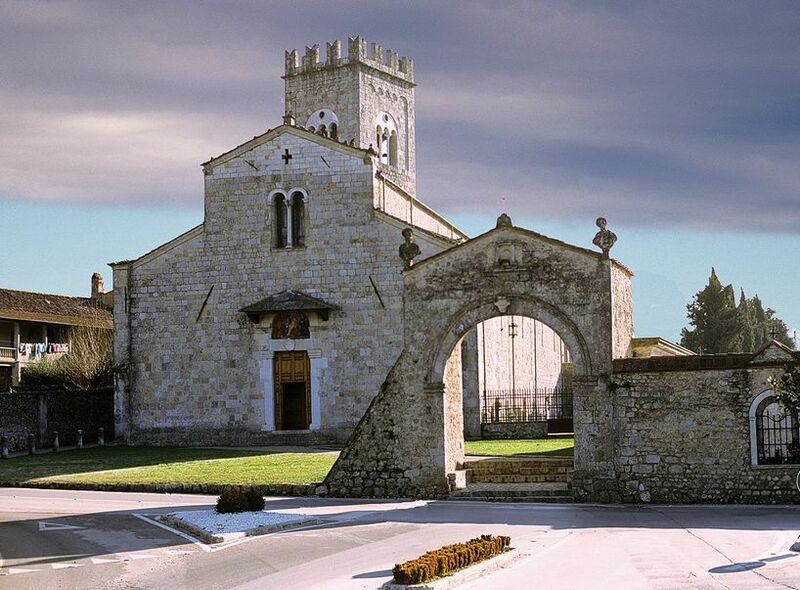 In the hamlet of Pieve one can visit another exquisite Romanesque church, that of Santo Stefano. 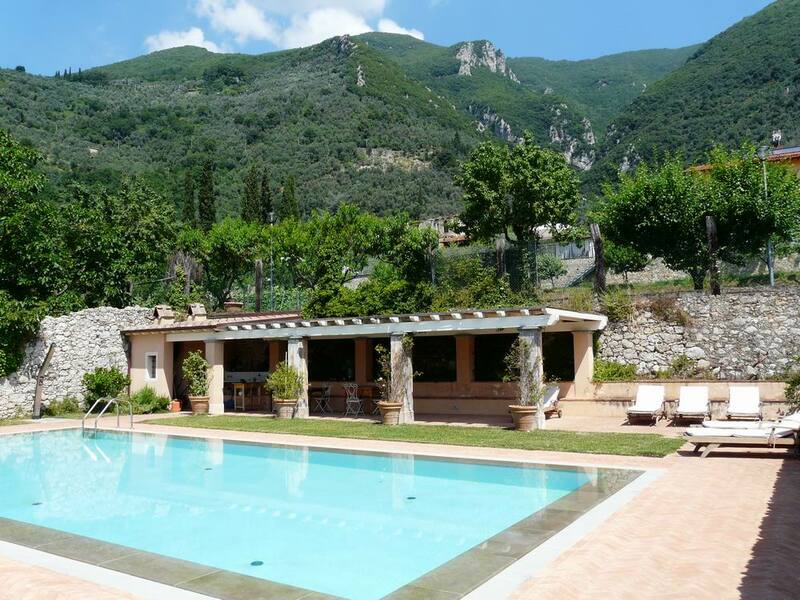 For those wishing to visit the Versilia coast and its gems we recommend, for a large family group or friends, this magnificent villa for 16 people with swimming pool in Camaiore. 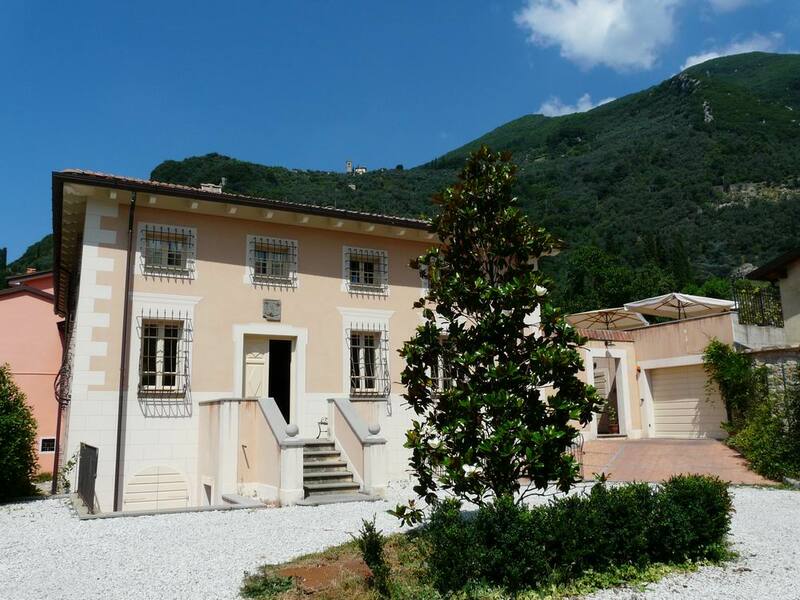 An elegant country-seat in the 16th century, today this villa has been renovated with particular attention in maintaining its traditional characteristics and is embellished by stylish furnishings and top-quality fittings. Enjoying an enchanting view over the nearby town and surrounding hills, this luxury holiday home also offers the opportunity to make the most of the nearby beautiful seaside resorts and their night life as well as being in a perfect position for visiting many Tuscan art centres and medieval hilltop villages. Questa voce è stata pubblicata in Accommodations in Tuscany, Culture and accommodations in Tuscany, Photography, Tuscan lifestyle, Villas in Tuscany e contrassegnata con Apuan Alps, Camaiore, Capezzano, Eleonora Duse, Gabriele D’Annunzio, Guglielmo Marconi, Lido di Camaiore, Versilia. Contrassegna il permalink.